Queens Court used to be home to Bills of Woollahra. Every Sunday morning, tourists would flock to the cafe to see Woollahra residents in their most natural habitat, ordering Bills’ famously overrated scrambled eggs and the obligatory plate of fries for the table as they complained about their fat sons losing their rugby matches that morning. Last year Woollahra got a lot less Woollahra-y when Bills shut its doors. In its place we got Luxe, the little franchise that could, who years ago was just a sandwich spot in Bondi Junction. Now Luxe has two Bondi locations, a cafe in Newtown and this new Woollahra bar and cafe. Fill your plate from the mountains of salads at the bar, then order some meat from the kitchen. The lamb kebab, skewered with rosemary, looks great, but isn’t big on taste. The kingfish comes grilled and surrounded by veggies, couscous and harissa in a proud bowl of excellence. 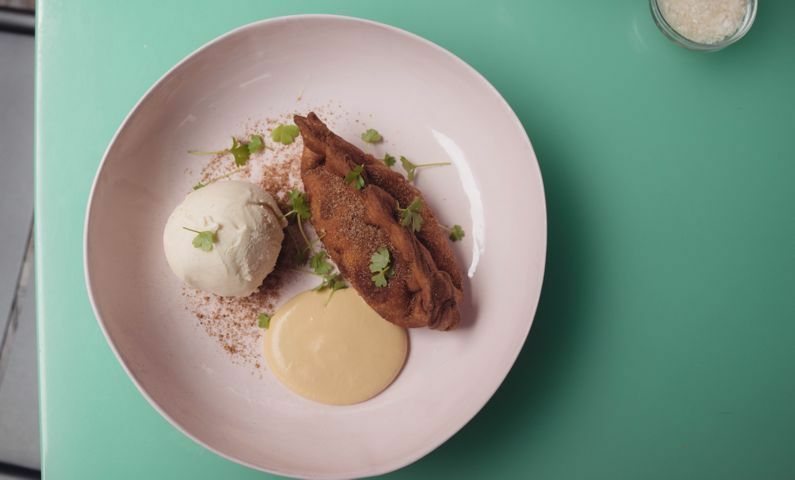 At the end of the mostly healthy menu sits an awesome surprise – the deep fried apple pie, an absolute must for anyone who has ever dreamed of a Macca’s in Woollahra.